If you follow me on Instagram or Facebook, you probably know that watermelon is my best friend right now. I'm at the point in my pregnancy where the 3rd trimester nausea has come back and I am SO. HOT. all the time. 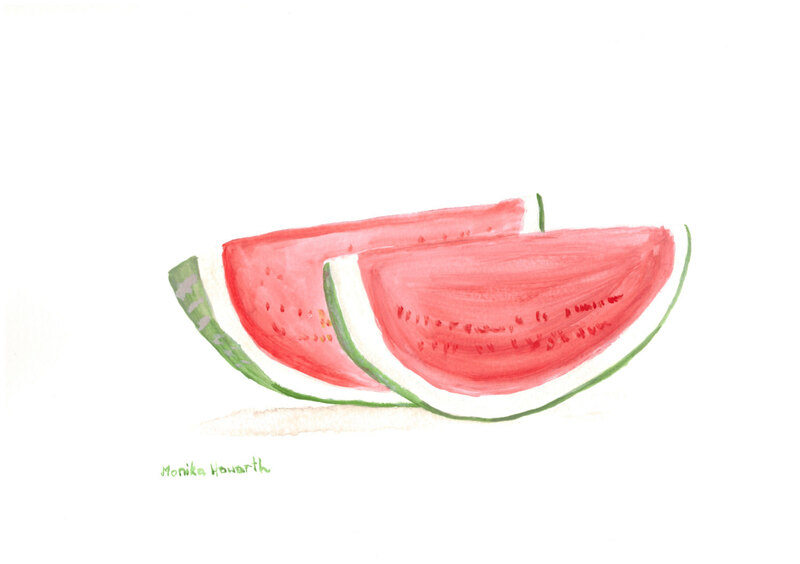 Watermelon is cool and refreshing and doesn't give me heartburn... so basically, it's all I want to eat... and I do. Hey, it could be a lot worse! I recently learned (from my next door neighbor who grew and sold watermelons for years) that the way to pick a watermelon is to look for one with a little yellow on the rind. I've also heard about the "bee sting" or the "sweet spot" and I have found that those two things have consistently given me really good watermelons (and yes, I've already purchased 5 in the last two weeks). I NEED good watermelon in my life!!! San Diego has been letting me down constantly! I'm going to try out the bee sting thing and see if I can have some success. Did you watch the video she posted? Her cleavage is epic! Lol.